Great indoor/outdoor living in attractive open environment ideal for family living. Outside hot shower for ocean lovers. BBQ on the deck and watch the sun go down. Smoking outside; pets allowed with prior approval. The bach at Pauanui was a real gem. 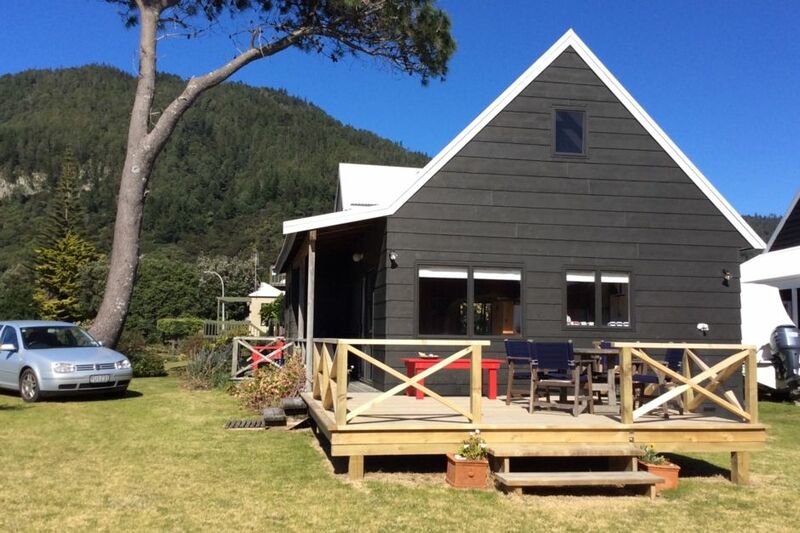 The bach at Pauanui was a real gem.... sun, location, pet friendly... everything you need for a great break and an abundance of tuatuas. Brilliant location on a quiet cul de sac, one back from the beach. Brilliant location on a quiet cul de sac, one back from the beach. We particularly like that end of Pauanui Beach, at a fair distance from the airstrip and surf club, but still close enough to the supermarket and bakery. The bach has everything you need for a relaxing stay. We will book again. Great bach, so close to the beach. Great bach, so close to the beach. Has everything you need. Awesome outdoor setting and friendly neighbours!